From a carrier, a baby peers out at the trail. Leaves rustle overhead, and a turtle stretches toward the sun. Everything shimmers with light, including the jeweled wings of a dragonfly and the star-shaped lilies. 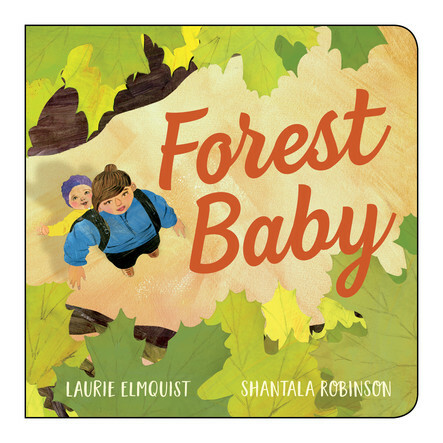 This delightful board book takes the reader on a hike accented by the soft sound of footsteps on the trail and grounded by the rhythmic rocking of mother and baby moving through the forest. Travel along on their serene journey with Laurie Elmquist's lyrical verse and Shantala Robinson's warmly painted collages. A beautiful book that will be treasured by anyone who loves the outdoors.